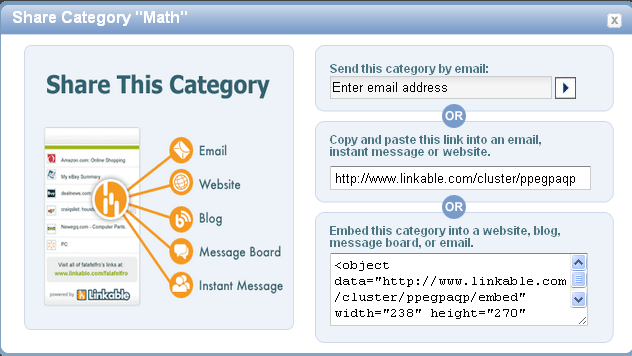 I discovered Linkable during a workshop given by Elaine Plybon recently at the Illinois Computer Educators conference. As mentioned above, I have been looking for an easy way to collect bookmarks and organize them into categories for our teachers. Once I signed up for an account, I quickly created a tab for TechStaff, though I could easily see creating additional tabs for personal links. You're limited to seven tabs, though you can get a free one by signing up here. Also, by adding the "Save to Linkable" bookmarklet to my browser, I am now able to quickly add any website to my Linkable page. Getting the links is the easy part, and many of the popular social bookmarking sites make it easy for you to do just that. With my categories, I'm able to intuitively drag and drop links anywhere on the screen. 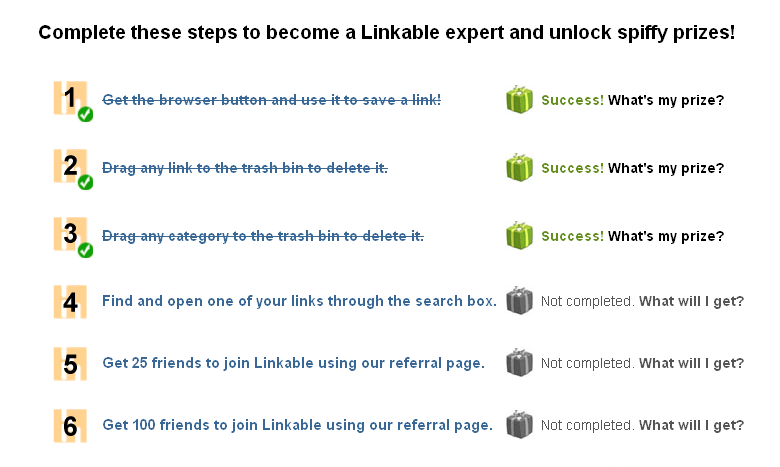 Linkable also works smoothly with browsers allowing you to import links already saved. New links are housed in the Inbox (though you can specific a category when you first save them), and they can easily be dragged into the appropriate category. Be sure to "unlock" bonus features (see upper right of your Linkable) so you can access right-click functions including duplicating and deleting of links. Now that I have a reasonable number of links, I am ready to share my collection with others. The Share option under the category drop down menu allows you to send via email, link to, or even embed your links on a webpage. Again, this will be handy when I want to share just a subcategory of links to a specific group of teachers. I don't have to worry about distributing an overwhelming number of links or setting up multiple URLs in an email. Of course, you also have the option to keep a linkable tab private, so only you will have access to any links stored there. Linkable is still an alpha product, meaning that it is meant for early adopters and the company is soliciting feedback on their product. However, in my limited use, the application feels very polished, and though it may not be bursting at the seams with features, it accomplishes a simple task in an elegant manner. The application is ad-supported, so you will encounter some ads on the side and bottom, though they don't intrude too much with the interface. With traditional bookmarks staying with the browser, I highly recommend an online option such as Linkable to teachers and anyone interested in saving time over the long run and saving links forever indefinitely (be sure to unlock the save bookmarks to a file for this statement to hold true).